State Rep. La Shawn Ford wants to reopen a long closed Metra station at Lake Street and Cicero Avenue, something that could take years to happen. For Austin residents, the closest Metra stops are at Grand and Cicero avenues, or farther west in Oak Park at Harlem and Lake avenues. “If you really want to reduce the unemployment in Austin, public transportation is part of the solution,” Ford said earlier this year of his effort to reopen the Metra station. The proposed project has been many years in the making, but Ford said he has not given up talking with Metra officials, the Illinois Department of Transportation and local community groups. Austin activist Bernard Clay has been a strong supporter of the project for years. Clay submitted a letter in February 1998 to Metra requesting the board explore the possibility of constructing a stop at Lake and Cicero. “The area around the proposed site is blighted and in need of economic stimulation to generate growth and development,” he said in the nearly 20-year-0ld letter. A month later in response, Metra said the process of building a new station would need to take into many variables, including market demand, land and parking availability, operational feasibility and capital funding. Clay would go on to send letters over the next nine years to multiple Chicago officials and the Regional Transportation Authority. A lengthy, detailed response addressed to Rep. Ford came in 2007, noting two distinct reasons why a stop in Austin would not work. Metra said a stop at this location would require a substantial capital investment, at least two tracks would have to be relocated and the potential cost would be several million dollars. A local transportation expert said building a Metra station is not as simple as it used to be. “Right now the standard for Metra stations would be the Lou Jones-35th Street stop down at Comiskey Park,” he said. Metra spokesman Michael Gillis said Metra had no record of a stop ever existing at Lake and Cicero but did find that such a stop at Central and Lake was closed in 1961. “Metra stops are expensive to open and even more difficult to maintain,” Gillis said. 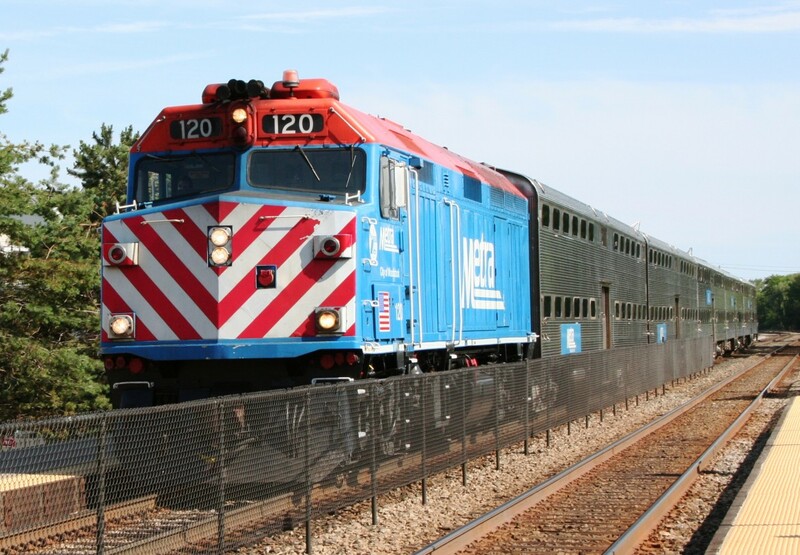 Schwieterman agrees that providing a Metra connection to Downtown Chicago could have a significant impact on Austin, providing it with a stronger identity. “If we really want to make Austin stronger, we need to tighten up our transportation issues so people can get to work, people can get to school and people can have more environmentally friendly ways of traveling within the community,” Ford said. Austin still doesn't have a Divvy station, and that's not right, says Ald-elect Chris Taliaferro.